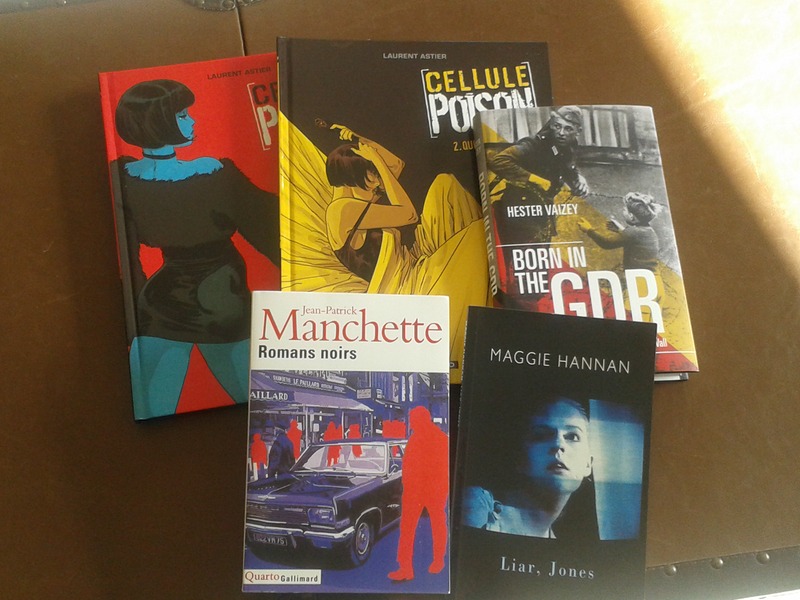 So yes, I did splurge on the Manchette collection of noir novels (in French). With that and the Simenon romans dur, I do believe I am sorted for reading in French until about 2020. I also bought the first two BD in the excellent Cellule Poison series by Laurent Astier – set in the Europol centre in Lyon, so pretty much local. I’m always keen to read more poetry and support poets by buying their books (anybody feeling sorry for authors in general should stop and consider how much money poets make from selling their books). So I bought Maggie Hannan’s debut collection ‘Liar, Jones’ – I have heard good things about her brave, experimental exploration of feminine sensibilities and experience. Also shown in the picture: I got sent a book to review by the Oxford University Press: Hester Vaizey’s ‘Born in the GDR: Living in the Shadow of the Wall’. 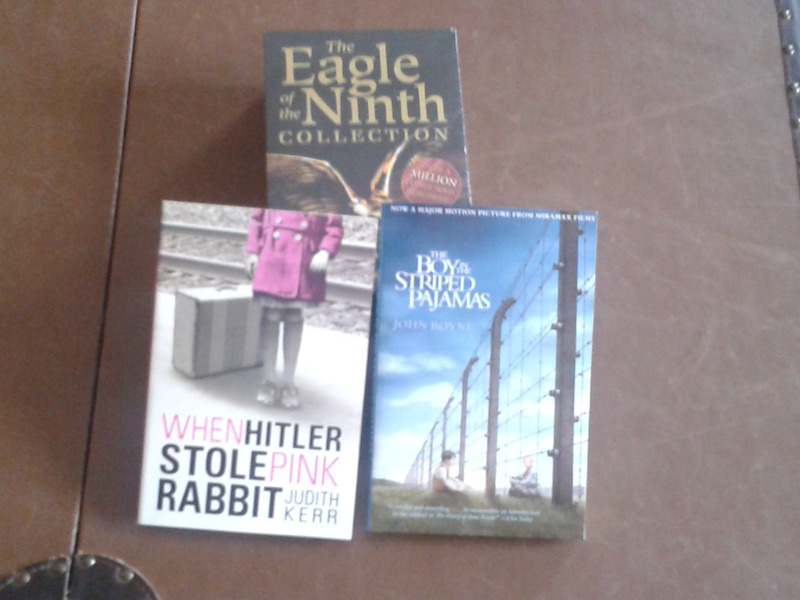 It talks about the changes the fall of the Berlin Wall brought into the lives of eight formerly East German citizens. One of my best friends is a born and bred East Berliner, so I was curious to see how her experience compares to that of Vaizey’s interviewees. Besides, I come from a former Communist state myself and it’s fascinating to see how those vanished (and once much hated) political states are remembered (often nostalgically) 25 years after. I am so overdue on some of my library books (because more pressing reads get in the way) that I think my membership will be revoked. However, I still managed to sneak out an additional book, namely Joan Smith: What Men Say. Smith is a writer,journalist and human rights activist. Her Loretta Lawson novels were popular in the early 1990s (when I first moved to Britain) as a crime fiction writer with a feminist bent, but they seem to have fallen into oblivion since. I look forward to reading (or rereading – I can’t remember which of the 5 books I’ve already read) and seeing if I feel the same about them now as an older (but possibly not wiser) feminist. Technically speaking, not mine at all! I just ordered them for the children, so it surely doesn’t count. Did you read any of these when you were a child, or are you reading them to your children now? Aren’t they brilliant? I sometimes think children’s literature is better than literature for adults. Mine too. I remember the teacher reading it out loud to us in class when we were doing arts and crafts… and me forgetting to glue or cut things, so absorbed was I in the book. Glad to hear you treated yourself to the Manchette romans noirs – irresistible! Well, ahem, some of the books were for their own good, right… The end justifies the means and all that. Seems to have been a general childhood favourite. And do you know that Judith Kerr also wrote that genius picture book ‘The Tiger that Came to Tea’? I never made the connection for a long, long time.